In the Key To All Worlds section, I introduced the lunation birthday hexagram (LBH) as a significant point of reference within the synthesis of astrology, I Ching, Tzolkin and the chakra system that is the Lightning Path. In this chapter, and using those same metaphysical tools, we will enter more deeply into the procedure for crafting detailed light body activation templates—personalized maps of consciousness based on the astrological birth co-ordinates of particular human beings. At the core of the light body template is the synthesizing geomantic principle, heaven—earth—man. This principle is a spontaneous expression of the inherent, self-existing, hierarchical order of the universe and is the same principle inherent in the hierarchical structure of the hexagrams of I Ching. As the central feature of the light body activation template, this natural hierarchy appears as an axis of seven subtle-energy nodes vertically aligned with the spine of the physical body. In Mayan yoga traditions these nodes are called chaclas and each chacla refers to one of “seven powers of light”. 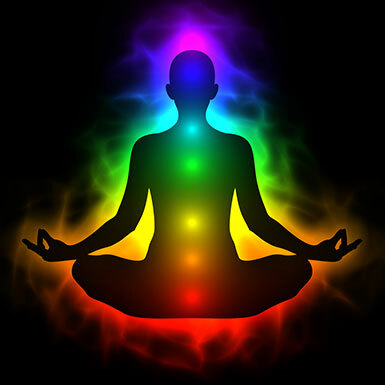 In Eastern yogic systems (Hinduism, Jainism, Buddhism), these same centers are referred to as chakras and are understood to act as nodes of activity for the reception, assimilation, and transmission of multi-dimensional energy. Each chakra can be referenced to specific yoga paths as described below. 1 At the base of the chakra axis is what is commonly known as the root chakra. 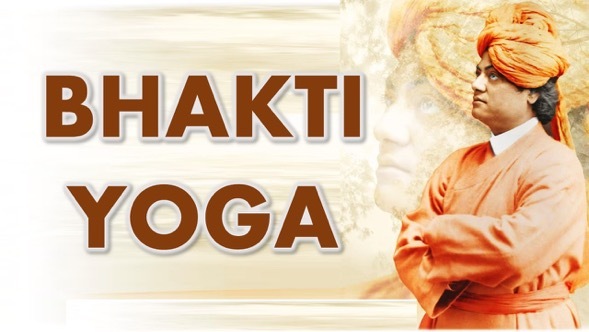 This is our most primary connection point with the material world and it is here that hatha yoga, the yoga of physical postures is practiced. With this type of yoga, the inner work centers on purifying the body by directly addressing it’s most primal hungers, drives and fears. In Mayan yoga practice, the root chakra is seen as a cosmic vibratory root, a primordial, unifying vibration represented mathematically as a single dot. According to Mayan elder Hunbatz Men, this vibratory root is thought to be a form of solar energy refered to as “kultunlilni” or “body lightning." Kultunlilni corresponds to our most primal connection to the Earth and constitutes the initial venturesomeness that initiates any process of manifestation. In esoteric yoga systems of the East, kultunlilni is known by the similar name "kundalini," meaning "serpent power." Like the Maya, Eastern yoga teachings indicate that this latent power resides at the base of the spine like a sleeping serpent until aroused, at which time it begins to ascend the chakra tree, gradually purifying each chakra as it does so. This purification process can be very arduous and is sometimes painful and dangerous for the person involved. It requires a deep commitment to inner work in order to be successful. Success comes as progressively greater and greater self-realization is achieved, culminating in attainment of what visionary yogi Sri Aurobindu calls a “mind of light” or what, in some Tibetan Buddhist traditions, is referred to as the “rainbow body”. Such attainment implies that the serpent power has not only become aroused but that it has been given wings, thus evoking the image of Feathered Serpent, long the Mesoamerican icon of such an ascent in consciousness. 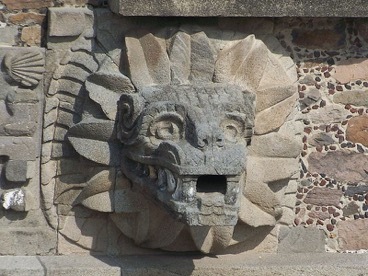 Temple of the Feathered Serpent in Teotihuacan. 2 Tantra, the yoga of the second chakra, goes beyond basic body physicality to teach us how to master our instinctual and emotional natures, especially as these relate to our desires. This includes the very important task of determining how best to channel our vital sexual energy into an authentic way of life that harmoniously unites creation (Shakti ) and consciousness (Shiva). 3 At the third chakra we encounter karma yoga, the yoga of action.This yogic practice focuses on the gradual purification and removal of selfish and egotistical limitations through the cultivation of generosity. Karma yoga is the yoga of “doing whatever needs to be done” regardless of what our selfish desires would have us do, or refuse to do. It is referred to by many as the science of achieving perfection in action. 4 Bhakti yoga, the yoga of the fourth, or heart chakra, expands awareness into the realm of pure devotion or bhakti, the natural generosity of spirit inherent in human nature. 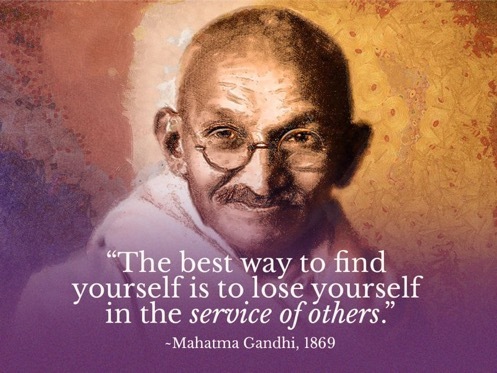 All actions become motivated by feelings of altruism, devotion and goodwill. The central intent of this yoga is development of a compassionate, witnessing consciousness, unattached to outcome and thus able to act freely in all situations. Devotion to a particular guru is often a part of this yoga practice. 5 The fifth chakra is located near the throat and deals with all manner of self-expression, communication and mental-spiritual development. It corresponds to mantra yoga which involves the chanting of sacred sounds (mantrams) and phrases until mind and emotions are transcended and the superconscious is clearly revealed and experienced. In Eastern yoga traditions, a distinct mantra exists for each of the seven chakras. Click here to hear an example. 6 At the sixth, or brow chakra, we encounter yantra yoga which focuses the mind through the use of mystical diagrams or meditation symbols called yantras. 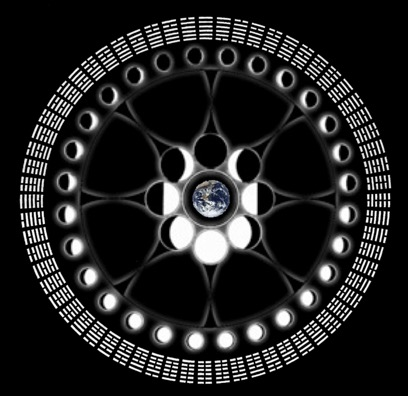 Astrology, with its many circular charts, is included in this group as are all forms of mandala and visionary artistry. The general aim of this yoga is to develop our capacity to understand the world objectively and to envision future possibilities. 7 The seventh, or crown chakra, orients us to our deepest destiny and thus refers to all manner of shamanic activity and depth exploration of the psyche. 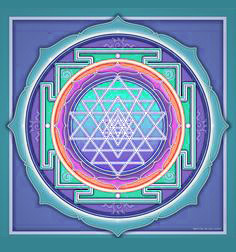 The name of the seventh chakra yoga is jnana, the path of knowledge through inquiry and meditation. Jnana yoga embraces all other yogas and integrates them into a unity through abstract, intellectual understanding. Jnana carries with it the qualities associated with number seven: synthesis, coordination, hidden direction and mystical power. It corresponds to an all-inclusive experience of Divine intelligence and bliss that naturally arises through revelation of one's sovereign and authentic place within the whole human family. 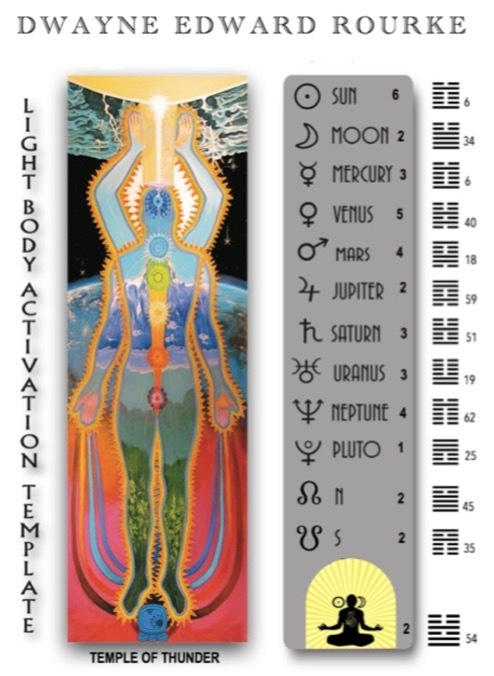 As a visual construct, the light body activation template is a map of consciousness that facilitates integration of not only the chakra system but also a variety of symbolic systems including, but not limited to, astrology, Tzolkin) and I Ching. In aid of contemplation and understanding of these various components, the light body activation template can be artistically rendered, as seen in the following image which depicts my own template. 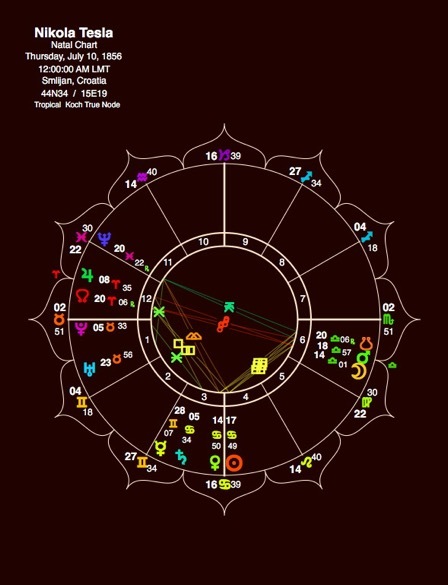 To the right of the chakra figure shown above are the various planets in my birth chart and their corresponding hexagrams and respective chakra/line placements. Also included at the bottom of that list is visual indication of my lunation birthday hexagram (54) and corresponding chakra/line (2). Directly under the chakra figure, the term "Temple of Thunder" contextualizes my birth within the mythological temple-of-temples overarching all births under consideration, as introduced in "My First Discovery" in a Key To All Worlds. 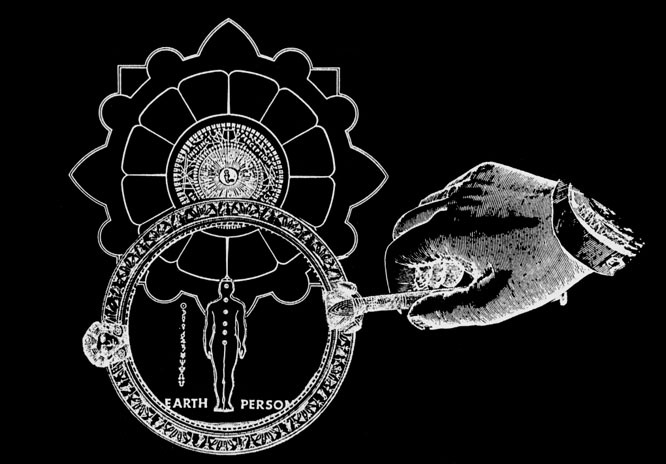 As a personal aid to divination and philosophical contemplation, the light body template acts as a kind of "lightning rod of the imagination," a symbolic receptor of synchronistic information pertinent to the person for whom the template is constructed. It is a profoundly personal meditative image that facilitates integration of ancient wisdom into one's psyche so as to make it available for application to contemporary situations. Construction of a light body template makes use of information coded into the natal horoscope of the person for whom the template is constructed. 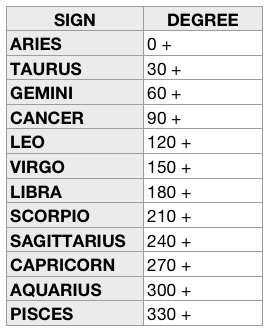 Ideally, the time of birth used for that horoscope is exact, but if this time is unknown, a useful template can still be constructed by simply using high noon on the day of birth. This is the case in our example chart for Nikola Tesla, widely acclaimed as the inventor of alternating current electricity and a leading pioneer in free energy research. Absolute longitude (AL) is a direct reference to Zero Aries, the mathematical point of origin of the astrological zodiac. All astrological factors set within the frame-of-reference of the zodiac have an angular relationship to this universal point of origin which is in direct resonance with the "zero point" sources of the other symbolic systems ( I Ching, chakras and Tzolkin) involved in the synthesis. Absolute longitude is simply the mathematical key used to integrate these symbolic systems into a practical, user-friendly, tool. Sun, Moon and planets in the birth chart of Nikola Tesla. Using Nikola Tesla's birth chart as an example, our first step is to determine the absolute longitude (AL) for Sun, Moon and each planet in the chart. For example, we note that his Sun is located at Cancer 17 deg. 48 min. Second, we see from the absolute longitude chart below that the first degree of Cancer corresponds to an AL of 90 degrees. The position of Tesla's Sun is 17 deg. 48 min. in advance of this position so we simply add 17 deg.48 min. to this number. This gives us a preliminary AL for Tesla's Sun of 107 deg. 48 min. However, all minutes derived in our procedure need to be converted to decimal equivalents, therefore we divide the minutes portion by 60. In this case, 48 divided by 60 converts to a decimal of .8 degrees. The final AL number for Tesla's Sun is thus 107.8. The next step in creation of a light body activation template involves transposing Sun, Moon and planets into the chakra array. The procedure is based on an equivalence between chakras and I Ching hexagrams wherein, beginning at the base or root chakra, the lines of each hexagram have a one-to-one correspondence with the first six chakras of the light body. Corresponding to our deepest destiny and highest calling is the culminating 7th, or Crown chakra, located at the top of the head. 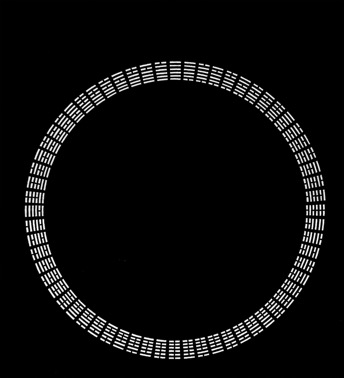 It encompasses all 64 I Ching hexagrams at once, as shown in the following diagram. 64 hexagrams times 6 lines/hexagram = 384 lines. When applied to the absolute longitude of Sun, Moon or planet in a birth chart, the number 1.066 does double-duty by correlating each celestial body with a corresponding line within an I Ching hexagram and, by extension, with one of six chakras. For example, the absolute longitude of Tesla's Sun is 107.8 degrees. When this number is multiplied by the transposition factor (1.066) we get 115.02. This refers to the number of hexagram lines contained in the sweep from Zero Aries to Cancer 17 deg. 48 min. We now divide that number by 6 and get 19.17. This final number indicates that 19 complete hexagrams have elapsed since Zero Aries and that the planet finally positioned .17 of its way through the 20th hexagram. To determine the exact hexagram line that .17 corresponds to, we simply multiply it by 6, which equals 1.02. Finally, decimals are always rounded up to the next whole number at this stage of the process, so 1.02 rounds up to 2, and thus refers to the second chakra. In sum, Tesla's Sun aligns with the second line of the 20th hexagram in the series, which is number 55, Abundance. Accordingly, this corresponds to the second chakra of his light body template. Following is Tesla's complete light body activation template and the calculations done to construct it. 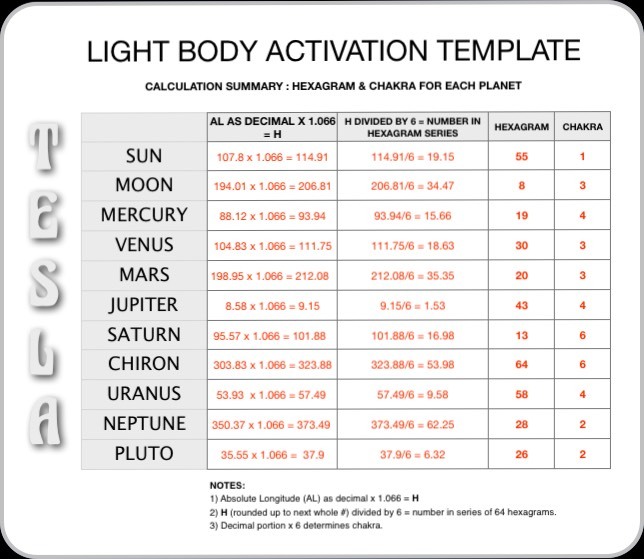 Attached here is a downloadable calculation sheet that summarizes the procedure for calculating your own light body activation template. 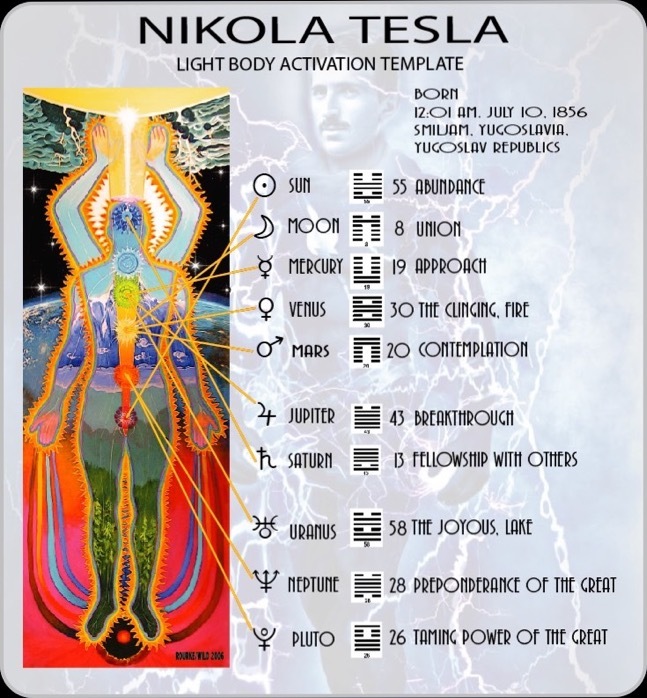 Light Body Activation Template Calculations for Nikola Tesla. Downloadable blank calculation sheet here. 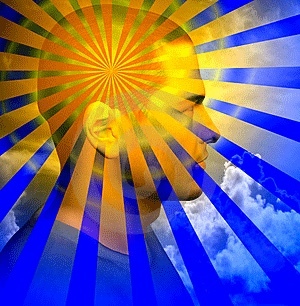 A light body activation template is of value primarily to the person for whom it has been created. It presents to that person, a unique astrologically-assigned map of consciousness whose usefulness may be better understood through comparison with the light body templates of historical personages. With this in mind, we will now look into the life of Nicola Tesla for a better understanding of what one's light body activation template actually reveals. 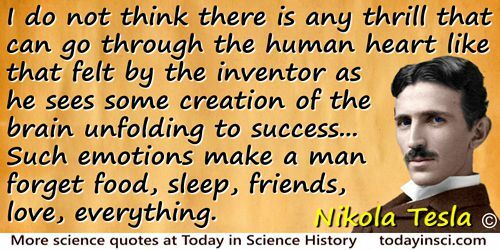 Nikola Tesla was a visionary inventor who devoted his life to making an abundant, clean energy supply for humanity. Among his inventions toward that end were alternating current (AC) power transmission, the AC motor, and the bladeless turbine. He also invented radio, neon & fluorescent lighting, x-ray imaging, robotics, wireless remote control, wireless energy transmission and more. 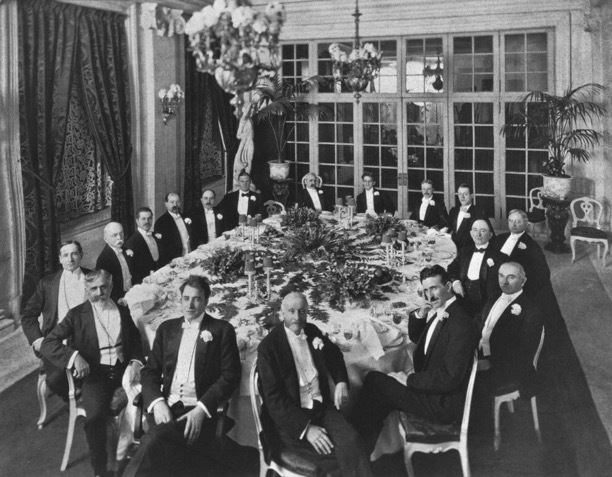 And in 1900, he described his World-System of wireless communications, which has a notable likeness to the Internet. When an idea presents itself it is, as a rule, crude and imperfect. Birth, growth and development are phases normal and natural. It was different with my invention. In the very moment I became conscious of it, I saw it fully developed and perfected”, “the idea came like a flash of lightning and in an instant the truth was revealed… The images I saw were wonderfully sharp and clear and had the solidity of metal and stone. Associating with someone whose goals are similar to your own will now bring you clarity and energy. It is not a mistake to continue in this close relationship until the project is complete. 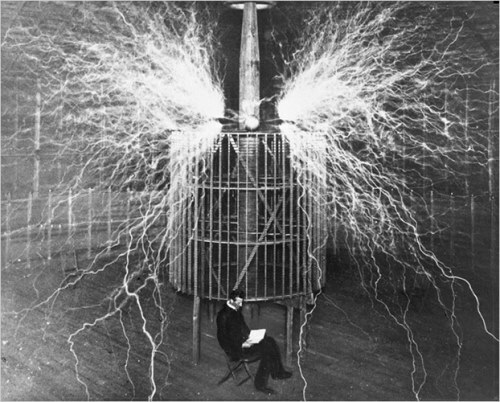 Tesla gained experience in telephony and electrical engineering before emigrating to the United States in 1884 to work for Thomas Edison in New York City. He soon struck out on his own with financial backers, setting up laboratories and companies to develop a range of electrical devices. His patented AC induction motor and transformer were licensed by George Westinghouse, who also hired Tesla for a short time as a consultant. We continue our investigation of Tesla's light body template by looking to the placement of the Moon in his chart. The Moon in a birth chart corresponds to the psychological function of adjustment and adaptability. While the Sun represents the "outer" expression of one's personality, the Moon corresponds to one's "inner child" or emotional self. It represents ones subconscious mind, personal feelings, and unconscious habits and instincts. The Moon also represents the mother, maternal instincts or the urge to nurture. The home, the private life, the past, and childhood experiences are all related to this celestial body. The Moon at Tesla's birth was located at 14 deg. 1 min of Libra. 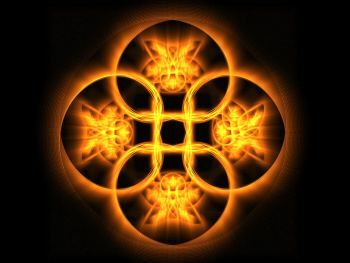 This corresponds to a light body template placement at the 3rd chakra where it aligns with hexagram 8, Holding Together. Third chakra issues centre on the concrete communication choices we make in our lives, especially the choices we make regarding relationships with siblings and workmates. Holding together brings success. High-level teamwork is achieved when the right players, on the right team, share a clear goal at the right time. A team forms its relationships in a delicate manner; chemistry is brewed in the vat of shared experience. Latecomers cannot share the same depth of union as earlier members. Wholehearted commitment is required for team success. All successful teams have a shared vision and a leader. If its leader can rise to the challenge, the team will prosper. In political and business affairs, just as in basketball, it is hard to win without a strong center. Accept the structure of the team if you wish to receive its benefits; otherwise, go off on your own. In holding together with others, cling to your own principles, but be willing to subordinate personal desires for the good of the group. Perhaps you would like to become a leader; remember that to become the center of influence, binding people together is a serious challenge and responsibility. Assess yourself carefully to see if you qualify for such a role. If not, it would be better that the group not be formed than for you to lead it without proper preparation. As his lunar hexagram portends, Tesla was often challenged to assess himself rigorously in his role as a leader of men. He was surely a man ahead of his time, and he knew it. Consequently, he had to come to grips with the fact that he had few peers, and this naturally affected his personal (lunar) life, essentially putting him onto a solitary path. He was a lifelong bachelor who said his chastity was very helpful to his scientific abilities. He showed very little inclination or need for casual social interaction, although he did have a few personal friends, most notable among them being Mark Twain. Nikola Tesla died quietly and alone in room #3327 on the 33rd floor of the Hotel New Yorker in New York City. He was 86 years of age.